Pink, it combines the burning passion of red, with the purity of white, and with Valentine’s Day being just around the corner, what better way to surprise the one you love, than with a beautiful pink diamond. With a massive 600% increase in value during the last decade however, these gems can be much more than just a valuable gift, they can be an investment. 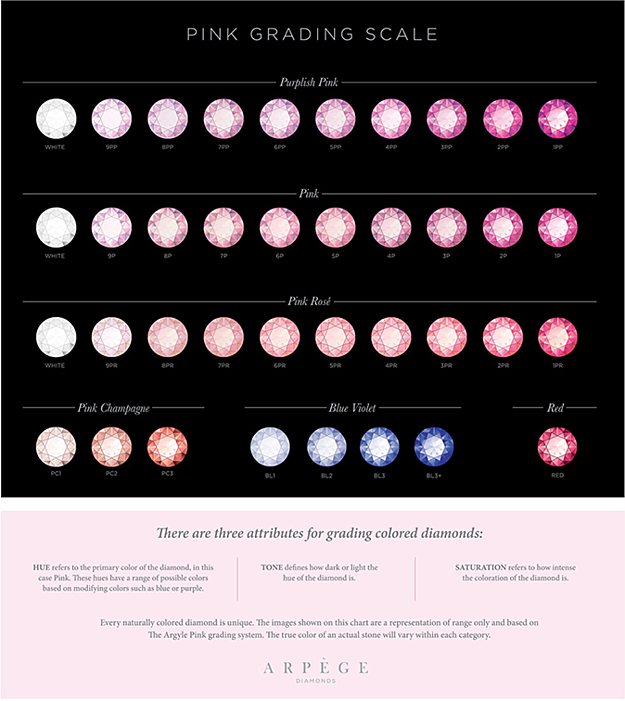 But just like your loved one, no one pink diamond is alike, more specifically; these stones can be categorized into 4 color categories based on their grading. So which one is right for you? It does not stop there however; each category can be further segmented depending on the saturation of the stone’s hue. This segmentation ranges from 1 to 9, with one being the richest pink and 9 being barely noticeable. It goes without saying here that, pink diamond value and price will also be significantly affected. So Which Pink Diamond Is For You? There are two types of investors, the first, enjoy for a designated period of time, and when they get tired of the asset or wish to quickly liquidate their investment they sell it for a quick profit (however small it might be). Let’s call this Type A. The second group of investors are in it for the long run. They spend heavy, and will either save or enjoy their asset for a very long time, letting it appreciate in value exponentially after years or decades in their possession. Let’s call this Type B. So which type of investor category do you belong in? If you are a Type A, then the best pink diamond category range for you would be between 4P,4PP to 5P, 5PP (in all color categories), depending on the initial budget you are willing to allocate. Ultimately, this will allow your gem to appreciate over time, while still being in an affordable price range for the next buyer down the line when you decide to sell. If you are a Type B, then the higher the grade, the better. The range you should be looking at start at 3P and can go all the way up to 1. This stones will yield much higher initial prices but will show much greater appreciation down the line, ultimately yielding astronomical returns. Keep in mind however, that the more your stone appreciates, the fewer potential buyers there will be that could afford such a massive investment, so selling via auction houses might be the best way to go at that point. 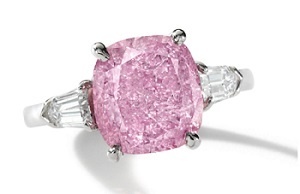 If a pink diamond has traces of a secondary purple hue, the color might in fact look richer even though its color may be farther down the quality scale. This means that a 4PP can actually feel like a 3P. A quick tip to avoid falling into a trap when purchasing pink diamonds (note this only works with loose stones)... in order to more accurately spot the second color when considering a purchase, turn the diamonds upside down and place them on a white surface, this will essentially make finding the modifiers much easier. 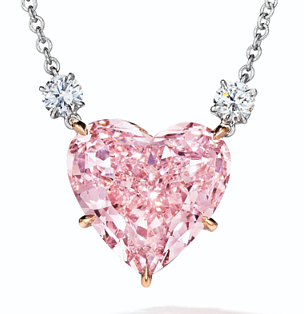 Will you be buying a Pink Diamond for Valentine’s Day? What category do you like the most and why? Let us know, and as always feel free to follow us on Twitter and LinkedIn. 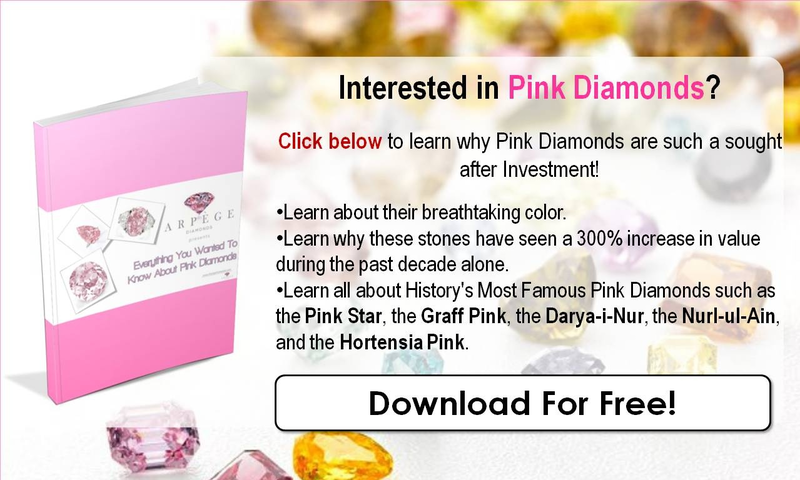 The Pink Diamond Investment: Is It In Your Portfolio?